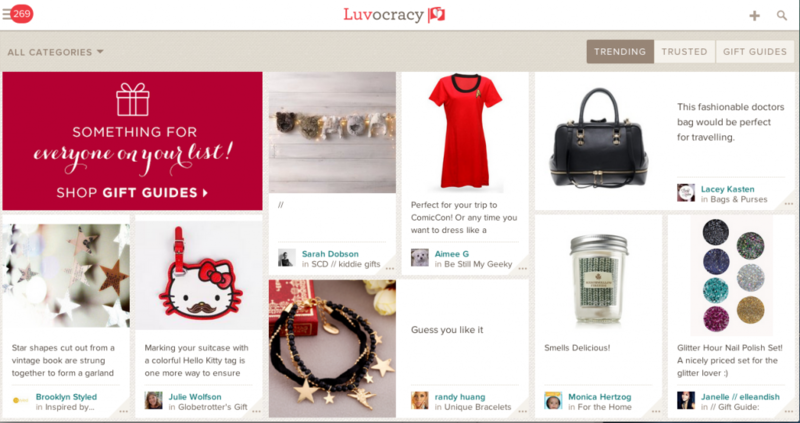 This is a sponsored post written by me on behalf of Luvocracy. It’s starting to be noticeably more crowded in the stores. More cars driving around. Less parking spots. The temperature rising inside, frenzy, and long lines. Yep, it’s Christmas shopping time! I am about 1/2 done. But it’s hard to keep all the ideas straight in my head, not to mention the choices I have to make. It would be really nice if there were a place where I could just bookmark all the things I want to buy and see them all in one place. WAIT. There is! It’s very visual and you make collections of things you like and categorize them. It’s called Luvocracy. A place where you can ‘Luv’ products and share them and even buy them straight from the site! This will make holiday shopping so much easier. I tried it out this week and it’s pretty fun. I put together five collections so far and here is the Kids Gift Guide I made to share! These are some of the gifts I was considering getting my kids this year, and now instead of making a list, I can see exactly what they are and even buy them straight from the website if I want! I also got a $10 credit just for signing up and you can too. And for every friend I refer, I get another $10 credit if they join and purchase. You can ‘trust’ other people to see what they are ‘luv’ing . 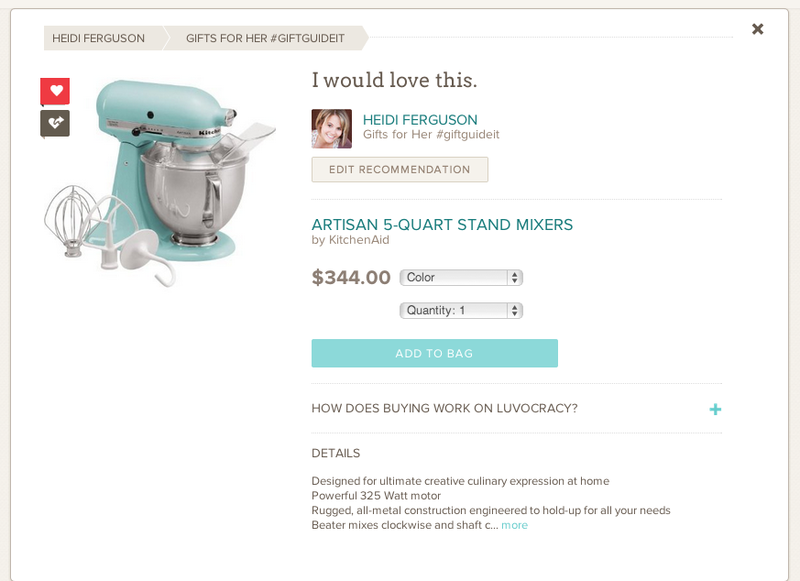 You can make your own collections by installing the Luvocracy button on your browser toolbar and every time you are shopping the internet and want to store something in your collection, you just click the button on the link and choose a picture and it will save it to your collection. Then you can go back to Luvocracy later and buy it all right there! Plus Luvocracy’s shopping assistants will scour the web to find the lowest price for each product AND they have a 30-day return policy. Check out my other collections! Want to sign up? It’s really easy and remember…you get a $10 credit! For more information, visit http://www.luvocracy.com.